While I rarely lack an opinion on topics within our bass fishing community, it�s not always easy to find subject matter. Let�s face it, every once in a while things get a little slow in the world of pro bass, requiring me to branch out a bit, otherwise succumbing to writer�s block and an empty Thursday column. Without question, the biggest news in years was announced last week, outlining the complete elimination of co-anglers from professional tournament fishing. 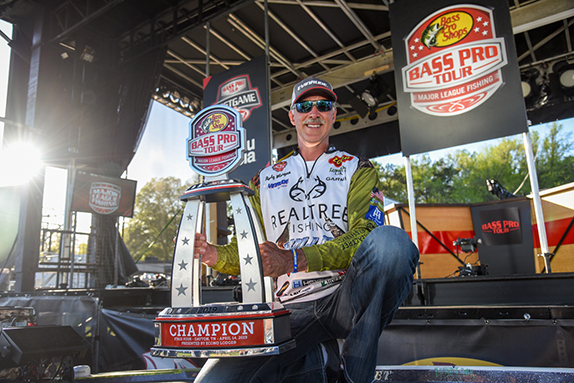 The once co-angler friendly FLW Tour has followed in the footsteps of B.A.S.s. and will no longer offer non-boater competition on its premier circuit. Not surprisingly, most FLW professionals were elated after often voicing concern over the unfair influence co-anglers have on competition among the boaters. But I wonder, was it their influence � the professional anglers of the FLW Tour � that led to this decision? I doubt it. Many of you will recall numerous columns I�ve directed in the past focusing on co-angler competition, the overall difference in the FLW and B.A.S.S. business models and how each organization seemed comfortable pursuing different goals. �It is our business model to accommodate more anglers,� Kathy Fennel told me in an interview in November 2015 when discussing FLW�s co-angler policy. 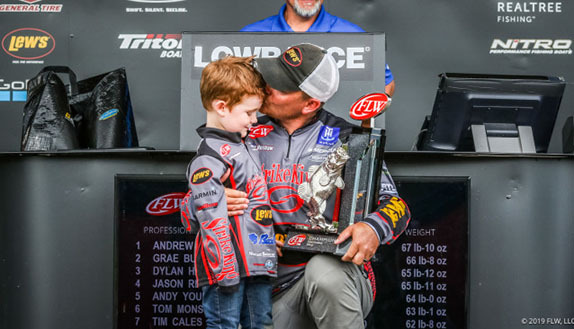 Readers should also know that Fennel, FLW�s longtime spokesperson and president of operations, has consistently been above-board with all topics I�ve pursued and has offered me insight into the business of professional fishing tournaments like no one else. However, rather than again contact FLW for the inside scoop and risk being swayed one way or another, I decided to review the recent press release detailing the co-angler elimination and form my own opinion. According to the release, the primary reason behind FLW�s decision focuses on changes in the sport. More specifically, it�s believed that the co-angler model was originally intended as a stepping stone for up-and-coming professionals, a role now credited to high school and college fishing. The argument still holds weight today � the bass fishing industry, driven almost entirely by tournament competition, continues to make it nearly impossible for newcomers to enter the sport without spending a fortune, thus pushing many potential players out. The co-angler model was always one way in, complete with substantial prizes and the ability for a tour-level player to make contacts and possibly move to the front of the boat. In today�s issue, we�re encouraged to believe that other forms of tournament angling are responsible for recruitment of future professional tournament anglers and that the co-angler model is obsolete. However, one thing I can guarantee is that, without the ability to ride along in major national competition, a non-boater will never grasp what is necessary to fish as a boater on the FLW Tour. Competing at the Costa level won�t do it; high school and college certainly won�t, and without a true feel for the events, commitment and sacrifice involved, I�m hard-pressed to believe a competitor will truly understand what he�s getting into when he sends in his 35 grand. That�s my biggest argument here: While there are numerous ways to observe high-stakes tournament fishing, none can truly represent the lifestyle more than living it, even if it�s for just a week at a time. 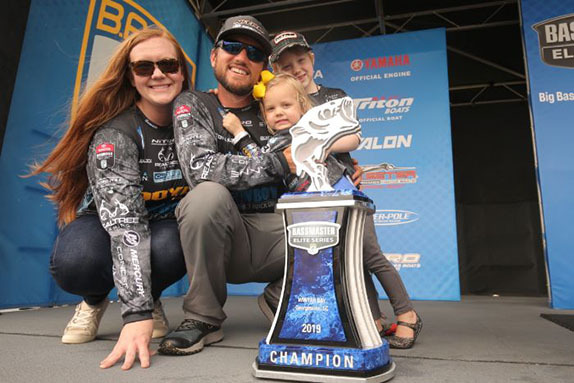 In addition, one other aspect of the impact co-anglers have on Tour hasn�t been touched on much: their role as practice (and expense) partners. A large percentage of touring pros travel and practice with co-anglers, thus sharing expenses to some degree. Obviously, that will be eliminated, thus making it more costly and time-consuming to practice, and eliminating a rod in the boat. In any case, I�ve never been a big fan of our two major tours mimicking each other�s behavior or protocol; diversity has always pushed each toward bigger, better things. But it�s the way of the world and a sign of the times. There have been times when many of us, me included, wished for bigger, better things for professional bass fishing; an acceptance and interest from society to push us into the bracket of true professional sports. By closing out co-anglers, it appears the Tours have concluded the new model is the proper path to achieving such. Have we considered the expense?